From Dusshera to Deepavali, India had been busy celebrating festivals. Even though the festivities are over and the celebrations have now come to an end, the Desi community in Australia is showing no signs of slowing down. The celebrations here have well continued into November and intend to end with fireworks on November 17 when Prime Minister Narendra Modi will arrive in Sydney. 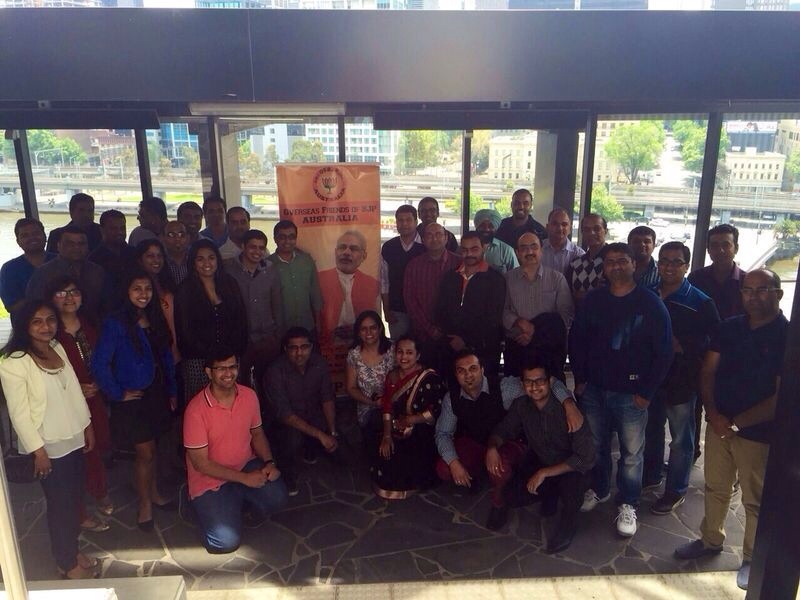 PM Modi’s visit to Australia has sparked a lot of interest and has ignited a kinship among Indians living Downunder. A community reception has been organised in Sydney on November 17 for PM Modi, where he is expected to address a large Indian Diaspora. This event has generated a lot of excitement amongst Modi supporters, many of whom believe this will be an once-in-a-lifetime opportunity to see and hear him in person. The kind of response received from the Indian community, over the PM’s visit, is unprecedented. More than 15,000 Indians are expected to attend the community reception in Sydney, making it a first for a foreign head to receive such grand reception in Australia. Not confined to just Sydney, this excitement is shared by the Indian community residing in Melbourne too. For Melburnians, come November 17, all roads (and railways) will lead to Sydney. The excitement over the Prime Minister’s visit is such that a special train has been organised to carry them from Melbourne to Sydney. The special train, dubbed “Modi Express”, will depart for Sydney from Melbourne’s Southern Cross station on November 16 at 7.50 PM and arrive in Sydney at 6.50 AM next day. The four-carriage train, which has a capacity of 220 passengers, will travel 870 kms carrying Melburnians to the Diaspora event. The Rail company has confirmed that it’s the first time in their history that they are adding carriages to the train service to accommodate so many passengers. Such is the enthusiasm to see the charismatic leader. The MODI EXPRESS organisers, OFBJP also plan to put up PM Modi’s banners and serve Indian cuisine on board the “Modi Express”. Arrangements are being made to play songs and music all along this historical journey. According to the passengers who have booked the tickets on “Modi Express”, this train journey will hold a special place in their memory. PM Modi’s November 17 visit is destined to make history. As for Modi supporters, it is all about being part of this history!